California dreaming? 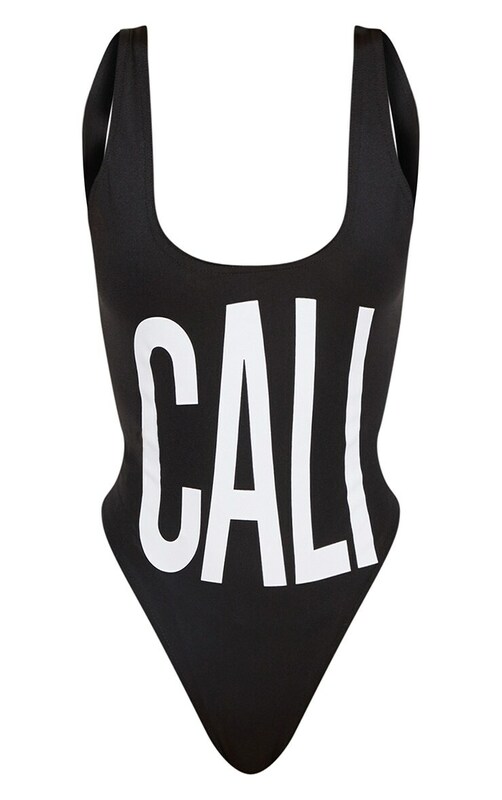 Pack this swimsuit away because its gonna come in handy. Featuring a black fabric with a scoop neckline, flattering fit and 'Cali' slogan, team with oversized shades and slip on sandals.